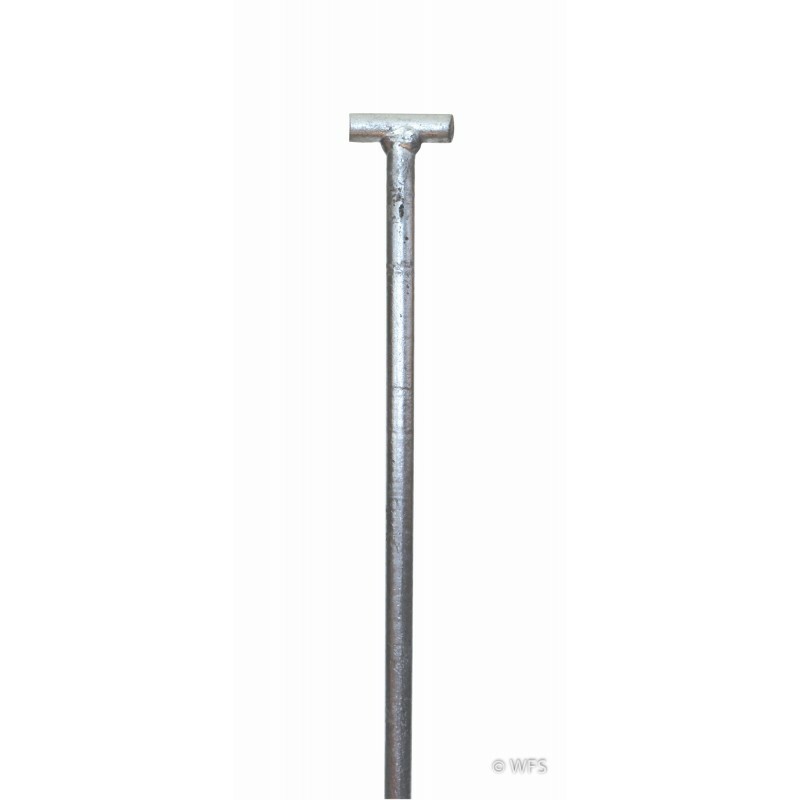 Galvanized Steel Ground Rod, T-shaped 4' x ½"
T-shaped ground rod is hot-dip galvanized, ideal for situations where the ground rod must be moved frequently. T-shaped ground rod is hot-dip galvanized, ideal for situations where the ground rod must be moved frequently. A twist of the "T" top facilitates removal. 1/2" diameter by 4'. 45.5 x 0.59 x 1.85 "
You're reviewing: Galvanized Steel Ground Rod, T-shaped 4' x ½"